Τhe issue of audiovisual education is not something granted, not something stable. It’s constantly moving and changing, both in form and content. Like our society. Those dealing with the audiovisual education would have noticed these changes. That’s why a new approach is constantly needed. That’s why meetings, like here in Placencia, have great value. The remarks that I have to make about these two parameters, that directly affect our work, are coming through our own experience. 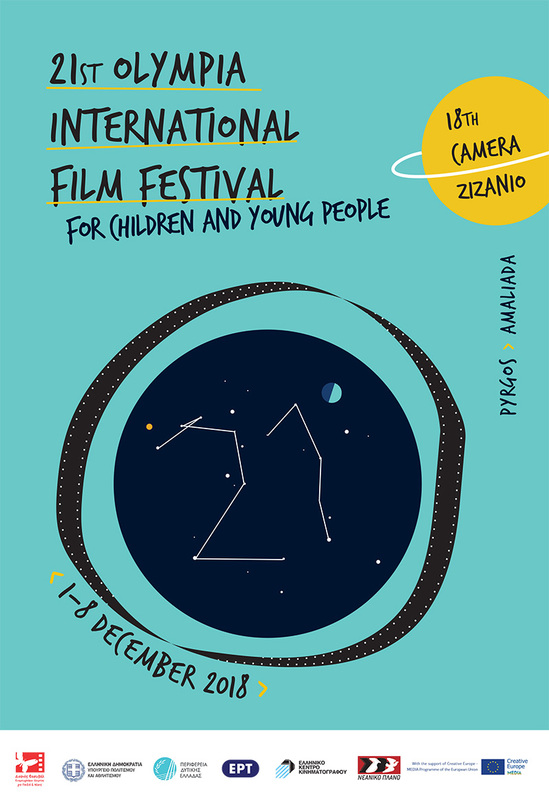 And this experience is based on organizing Olympia International Film Festival for Children and Young People for 17 years and Camera Zizanio for 14 years now. Cheap digital media, for recording and editing, gives to everyone the opportunity to create an audiovisual work. And while in the past, the idea was to give children the opportunity to have a sensory contact with the media, camera, computers and other technical equipment, today we moved to the level where everything is available to everyone. Anyone can own a camera and a computer for editing. Even cheap phones can do that! And so, the possibility of creating passed from the hands of the few in the hands of many. At this level we can say that there is democratization. Moreover, it becomes clearer that audiovisual education is a necessary element of a modern education. The convenience of media and film making, with little or no cost, brought large quantity. We’ve noticed in Greece, that from 6-7 films that we received in the first year of Camera Zizanio, in 2013 we’ve reached 190! The actual number of films created through schools, but weren’t accepted due to the festivals regulations, was at least twice! That means that we have an explosion of creativity. This also happens to the rest of the world. And you can see that from the large increase of Festivals that screen films not only from Europe, but from all over the world. Quantity doesn’t, necessarily, means quality. Really often, the creations of young people are influenced by the aesthetic of TV or from the impressive techniques used in Hollywood productions. Quality is something that we have to seek now, with consciousness and persistence. Against the convenience that means provide. We have to focus on aesthetic. Quality in video creations can come through the principle of moving image: Cinema. The Art is cinema and that can provide us the means to create qualitative audiovisual works. Is therefore needed a systematic study of the art of cinema, that will guide the youthful creations. In this procedure, the cooperation with film professionals is necessary. Through this cooperation, teachers taking part at initiatives for the production of student videos will also be educated. This is a beneficial procedure and for the artists, as from this, demanding audiences of tomorrow will be created. And while in the level of youngsters’ audiovisual creations, we’re in a satisfactory level of development, and despite the fact that it’s not part of the formal education procedure, we can see the development of policies that put major obstacles. Economic crisis becomes more and more painful for people in many countries. Governments implement policies of cuts that have direct impact on education and arts. On the other hand, parents themselves can no longer cover the needs of their children. Audiovisual education is now considered as a luxury. In Greece, public education is falling apart. Teachers are being fired and the number of schools is constantly reducing. Public Television that was the only institution that promoted -even with limited sources-youthful audiovisual creations is closed since last June… by coup. The new smaller TV , trying to be created for some months now, will not support such actions. Cuts from the Ministry of Culture have undermined Festival activities. That created problems in the circulation of youthful audiovisual creations and in international co operations. In a European level, meaning European Union, nothing substantial is taking place. Apart from studies and suggestions from the side the experts, nothing else is done. Only a few actions. In fact, there is no strategy. And even if strategy existed, it couldn’t implement as European Union is EU itself is in crisis. All this lead us to an opposite direction from what a modern education requires in a modern society. This is a return to the past. A cancellation of the project that we’ve already created. The question now is what we can do. Apart from realizing and reporting that, is necessary to move on to something practical. We must act. To rally support against this course backwards. To stand up against this path backwards. To face -all together- these problems, in an international level, is now necessary as ever. In a level of exchanging experiences, but also participation of youngsters and professionals in common activities. Actions of mutual help and support. By applying collaborative methods. To swim against the stream.